France is a world's top tourist destination with more than 30 million tourists per year. More than a third of tourists in France is fond of French cuisine and on 1 tour out of 9, French gastronomy is the main reason to visit France. But the language can become a real barrier during the trip and complicate the exchange with locals. 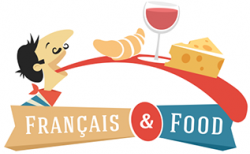 Français&Food is the best app for gourmet travelers that can recommend good addresses classified by local specialities and learn how to speak French thanks to integrated interactive lessons. This simple and interactive mobile application offers 3 levels of French courses and geo-tracking of the best gastronomical spots in France. For people who like to travel with a local guide, the Français&Food website offers different linguistic and gourmet visits with local French teachers. Français&Food contributes to the development of the local economy, promotes authentic French culture, traditions and values of local gastronomy for foreign travelers, teach users a better eating ideology through cooking classes, respect for natural products and exchanges with local producers and chefs.